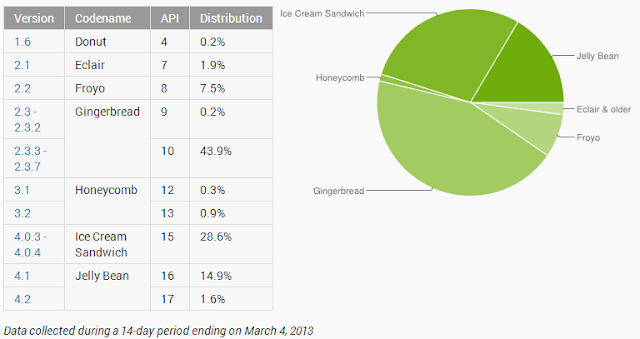 Android 4.x versions finally have a bigger share than Android 2.3 Gingerbread! It's that time of the month again guys! 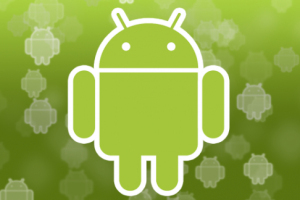 The current details of the Android versions are out and just as we like to see, the more recent versions of Android are getting ever more users, which is nothing but good news! The seemingly eternal version of Android Android 2.3 Gingerbread is still the most used version of the operating system, but we've finally got to the point where we can say that all versions of Android 4, so 4.0, 4.1 and 4.2, now have more users combined than Gingerbread does! The line graph below shows how Android 4.0 ICS and the two versions of Jelly Bean are starting to land on more devices, although it seems that ICS is staying relatively stable with most of the active devices probably being new devices which had Android 4.1 pre-installed! If line graphs aren't really your thing, or you want to know some more specific percentages then the pie chart below will be more up your street! What version are you rocking and do OEM's need to do more to update your devices? Let us know in the comments below!